Suspension file rack. 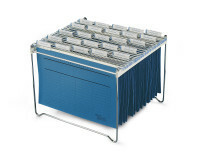 Chrome metal rack for 30 to 40 suspension files (suspension files not included). Suited for both A4 or Folio format. Dimensions (H x W x D): 285 x 350 x 370 mm. Delivered flat packed including assembly instructions. 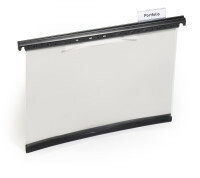 Plastic folder with transparent front and coloured back. 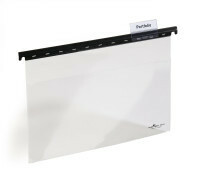 With 8 cm filing mechanism for punched papers and pocket on the back cover for additional unpunched papers. 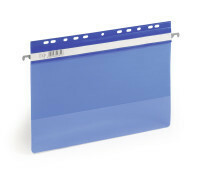 Versatile file made of coloured plastic with transparent front cover and coloured back cover. With blank insert cards. Head height 15 mm, head width 60 mm. Insert labels can be ordered separately, product #1816. 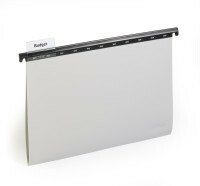 With an angled stable plastic suspension rail, 60 mm title tab, blank inserts and preprinted A-Z inserts. Made of plastic, with transparent front cover and grey back cover. With 8cm filing strip fastener. 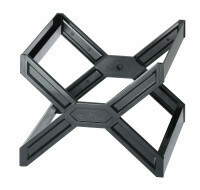 Strong, stackable, suspension rack. Lightweight and easy to transport - folds flat for convenience. 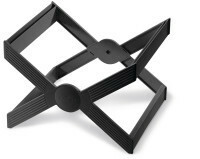 Robust, break-proof, foldable suspension unit for about 30 suspension folders in DIN A4 format. The product bears the Blue Angel Ecolabel. For storing small quantities of unpunched documents. Made of high-quality transparent soft PVC and open at the top. Can be fitted with organiser bar ref. 1867. 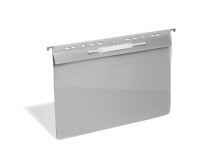 Made of PVC, with a transparent front cover, grey back cover and an 8cm filing mechanism. Inside pocket on back cover. Can be fitted with organiser bar ref.1867. 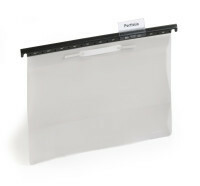 50mm wide plastic tab for use with 2560 Clear View Suspension Folder. 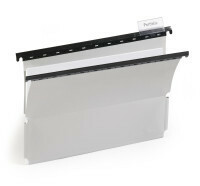 Angled stable plastic suspension rail, 60 mm title tab, blank inserts and preprinted A-Z inserts. Made of tear-resistant polypropylene.